In photo: Rep. Teresa Tanzi (D-Dist. 34, South Kingstown, Narragansett) delivers a legislative grant to the South County YMCA for administration of the Healthy Places by Design walking and biking subcommittee. From left, YMCA Welcome Center Navigator Tara Converse, Welcome Center Director Melissa Bousquet, Representative Tanzi and YMCA Fitness Center Representative Susan Myette. 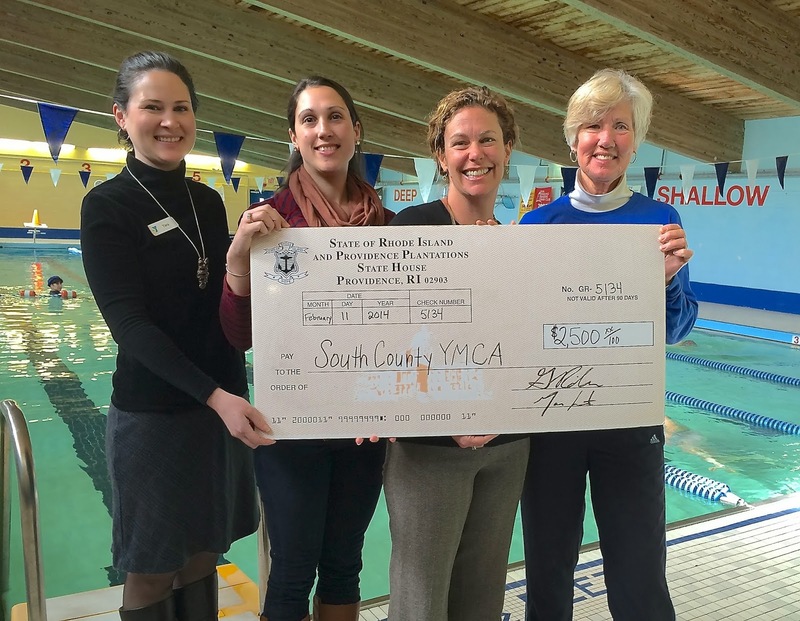 STATE HOUSE – Rep. Teresa Tanzi recently delivered a $2,500 legislative grant to the South County YMCA to support its administration of the Healthy Places by Design walking and biking subcommittee. Healthy Places by Design is an initiative in several Rhode Island cities to promote active, healthy lifestyles through community design and planning that encourages walking and bicycling, maintenance of villages, and access to both recreation opportunities and healthy food. The South County YMCA has become the home of the group’s bicycling and walking subcommittee, providing meeting spaces as well as administrative support and facilitation of events like the organization’s upcoming bike swap to be held on April 26. “The Y has been a very strong partner for Healthy Places by Design, and we look forward to many further successes in our partnership,” said Representative Tanzi (D-Dist. 34, South Kingstown, Narragansett), who volunteers with the walking and biking subcommittee.